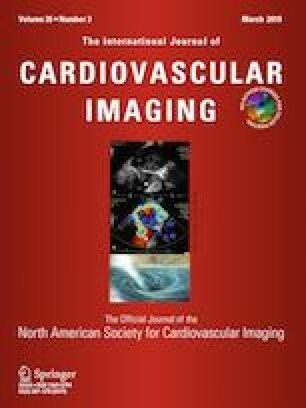 The purpose of this observational study was to investigate the feasibility, initial safety, and efficacy of the SeQuent® Please DCB (B. Braun Melsungen, Germany) for patients with de novo coronary lesions in vessels exceeding 3.0 mm in a consecutive series of all comer percutaneous coronary intervention. A total of 120 patients (135 lesions) with de novo coronary lesions in vessels ≥ 3.0 mm treated with DCB were enrolled in this single-centre prospective observational study. The primary endpoint was target lesion failure (TLF), a composite endpoint of cardiac death, target vessel-myocardial infarction (TV-MI), and clinically driven target vessel revascularization (TLR) at 12 months. Safety endpoints included cardiac death, TV-MI, and definite target vessel thrombosis. 45.9% of the lesions were classified as complex (type B2/C). The reference vessel diameter was 3.09 ± 0.31 mm measured via quantitative coronary angiography analysis. Coronary dissections occurred in 42 patients (35.0%; Type A-B 14.1%; Type C 19.1%; Type D: 1.6%), two of which [1.6%; (type D dissection)] underwent bail-out stent implantation. 12-month follow-up was completed in 100% patients. The 12-month incidence of TLF was 3.4%. The clinically driven TLR occurred in four patients (3.4%). The incidence of TLR was low in patients without any detectable dissections, similar to those with dissections (3.8% vs. 2.5%; p = 0.146). No patient suffered cardiac death, TV-MI, or target vessel thrombosis. The study shows the feasibility, initial safety, and efficacy of coronary intervention using SeQuent® Please DCB for the treatment of patients with de novo lesion in vessels exceeding 3 mm. The study highlights that the coronary dissection (Type A–C) post DCB treatment occurs frequently but is safe at follow up. Yi Liu and Yao-Jun Zhang contributed equally to this article. The online version of this article ( https://doi.org/10.1007/s10554-018-1505-z) contains supplementary material, which is available to authorized users. We would like to thank all professors and study nurses involved in the DEBATE study. This work was financially supported by Program for National Science Funds of China (Grant No. 81730011), National key R & D plan (Grant No. 2018YFA0107400), Program for Changjiang Scholars and Innovative Research Teamin University (Grant No. PCSIRT-14R08). All of the authors have read and approved the manuscript. All authors declare no conflicts of interest. This study was approved by the local ethics committee of our institution.